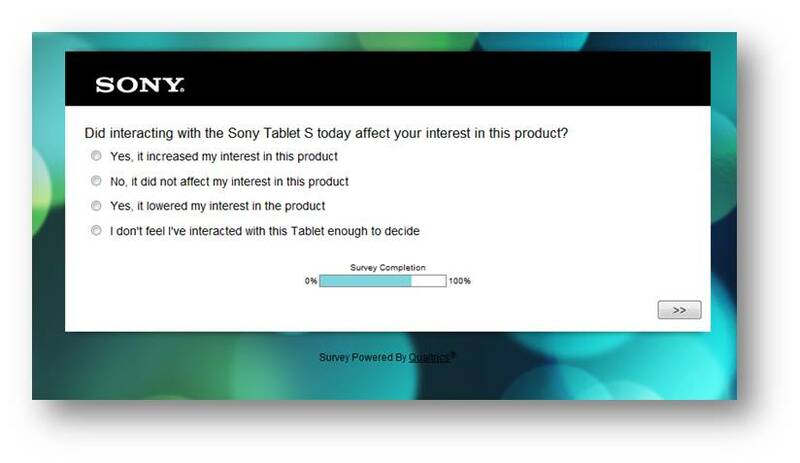 Overview: developed a market research survey for Sony Student Ambassadors to share after completing a product demo for peers with the purpose of gathering product feedback and demo effectiveness. Channels: Sony Qualtrics online survey platform. Project Role: project lead working directly with Market Research team to draft and publish a short survey; incorporated findings from executive summary into program presentations shared with product teams. Results: Student Ambassadors collectively returned thousands of unique data points that together told a story on the effectiveness of their product demonstrations, the purchase consideration rates of the target audience, and the “stickiness” of marketing messages.